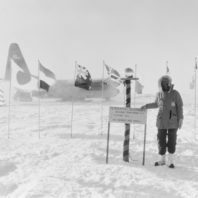 Dagmar Cronn was working at her first research job in the Laboratory for Atmospheric Research at WSU when her mentor, Elmer Robinson, told her she could co-lead an important research project and would go to Antarctica to do it. Afraid of the challenging conditions, she refused; she did not want to go to Antarctica. Robinson kindly threatened to fire her and told her that she had to bring a camera along to boot, which she also didn’t want to do. “OK, I will donate my body to science. I will die of frostbite,” she told him. Cronn went on to lead the project. She endured survival school in an actual blizzard and didn’t freeze. She returned and spent 15 years as a scientist in the lab, traveling the world to take data from the Panama Canal to Malaysia, China, and Antarctica. She fondly remembers the tremendous support, mentoring, and high expectations that helped her launch a successful career in academia. To continue the long tradition of the lab’s supportive culture and to return the kindness to her, Cronn and her husband, Bob, have established the Brian Lamb Endowment for the Laboratory for Atmospheric Research. Support graduate scholarships, equipment, and research grant matches for the Laboratory of Atmospheric Research. The fund, named for longtime faculty member and regents professor Brian Lamb, will support graduate scholarships, equipment, and research grant matches. Lamb, a member of the Washington State Academy of Sciences, is a leading researcher in regional grid modeling of photochemical air quality and wind-blown dust, application of atmospheric tracer techniques, biogenic emissions, 3-D turbulence modeling, and greenhouse gas emissions. Cronn came to WSU shortly after completing her doctorate in atmospheric chemistry. She soon realized that as a student, she had received little of the critical support and mentoring needed for a successful career. “I had sort of persevered by accident,” she said. Her supervisors at WSU immediately gave her a raise, making sure she was well paid. The salary was important, particularly, to raise her stature as a woman in science, she said. During her time at WSU, her colleagues made her part of the LAR team, so that she worked collaboratively on proposals. The group shared its resources, so that everyone had access to equipment. 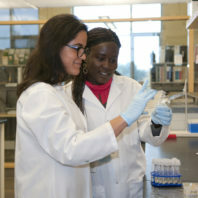 Staff and graduate students were part of the integrated team. The only thing that Cronn struggled with was football pools, since she didn’t understand the game. Someone on the LAR team always managed the voting for her. 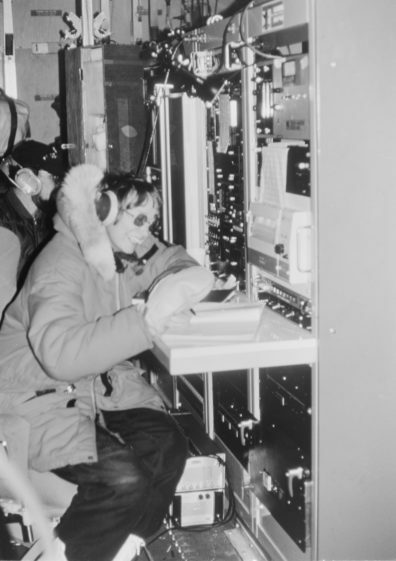 Dagmar Cronn conducted research with LAR all over the world, including in Antarctica. Her mentors pushed her to reach for new heights. They helped her with networking, introducing her to internationally known scientists around the world who were conducting research in areas such as acid rain and stratospheric ozone depletion. She soon became a well-connected member of these science communities, which was critical to her success. And, when it came time to leave, her colleagues again supported her career. She remembers that President Sam Smith had become a mentor and advisor to her. He had nominated her for a fellowship and leadership training and had provided support for her to participate. He told her that if he couldn’t find an administrative position at WSU when she returned from her training, that he would help her find one elsewhere. She went on to become dean of the College of Sciences at University of Maine and provost and vice president of Academic Affairs at the University of Oakland. She retired in 2007. Cronn hopes the new endowment will continue the collaborative and supportive spirit in the lab for many years to come and that others who benefited over the years will support it as well. Support the Brian Lamb Endowment by giving online, or contact Bridget Pilcher at 509-335-0144 or pilcher@wsu.edu. 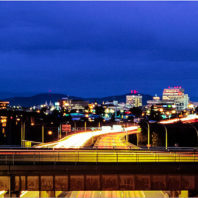 Washington State University has joined with six private and public partners on a formal agreement to develop Spokane’s University District into a smart city living laboratory. “We’re excited to be part of this group that is leading smart city innovations for healthier people, safer neighborhoods, smarter infrastructure, and a more sustainable environment,” said Kim Zentz, director of WSU’s Engineering and Technology Management program, who is leading the project. Voiland College of Engineering and Architecture students presented their energy-saving walls made from trash to as many as 30,000 people at the National Sustainable Design Expo in Washington, D.C., earlier this year. TrashWall is a collaborative effort between WSU’s engineering and architecture students. Guided by Taiji Miyasaka, associate professor of architecture in the School of Design and Construction, and Bob Richards, professor in the School of Mechanical and Materials Engineering, the students use trash to create walls that sustain heat and improve energy efficiency. For most of the twentieth century, people didn’t worry about an illness like strep throat or an infected cut because they could go to the doctor for a quick dose of antibiotics, which was invariably followed by a quick recovery. Slowly, however, microbes developed resistance to the miracle drugs, and in the United States, at least two million infections and 23,000 deaths are attributable to antibiotic-resistant bacteria each year, according to the Centers for Disease Control and Prevention.